As the school year starts, teachers are always looking for new ways to introduce their subjects to their students. 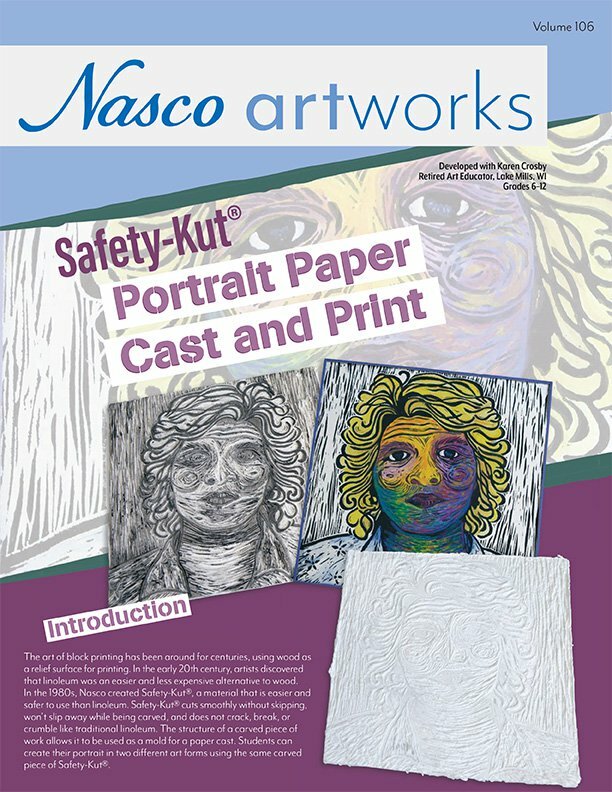 That is where Nasco’s Artworks comes in. Artworks Lesson Plans are created by teachers for teachers; created by those invested in the arts such as art instructors, directors, and artists from all branches. Many of the plans extend over multiple class periods, giving students time to understand and create their own masterpieces. 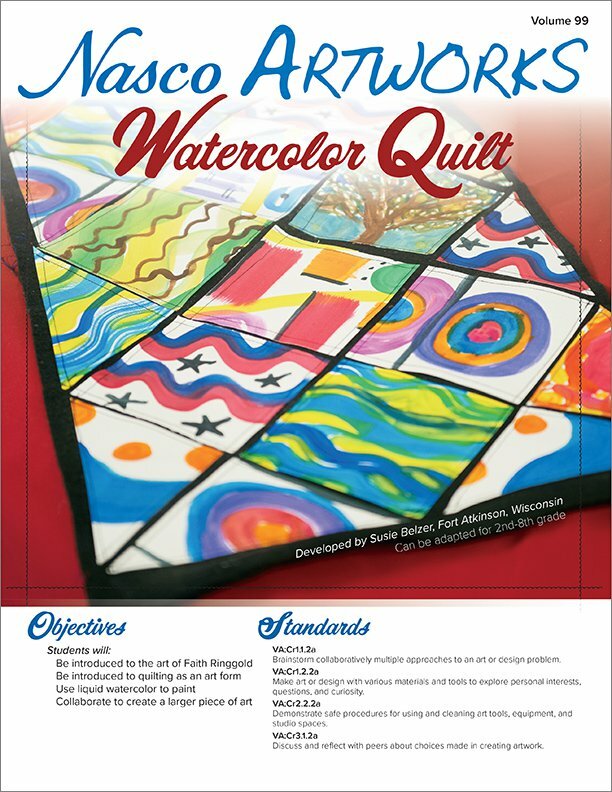 Students will be introduced to the art of Faith Ringgold, be introduced to quilting as an art form, use liquid watercolor to paint, and collaborate to create a larger piece of art. Grades 2-8. 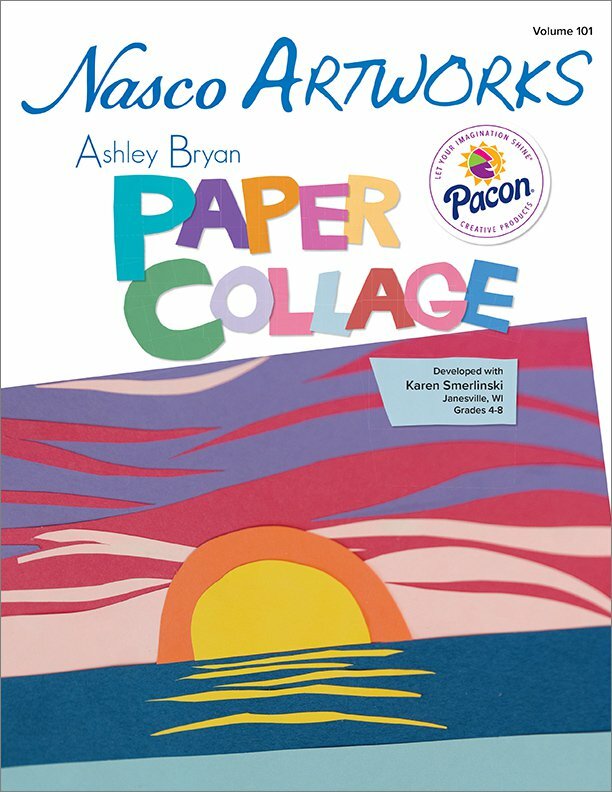 Students will learn about artist, author, and poet Ashley Bryan; discuss the elements and principles of design; explore collage as an art form; talk about how literature and art are connected; and create a collage based on their own written work or excerpts from a book. Grades 4-8. 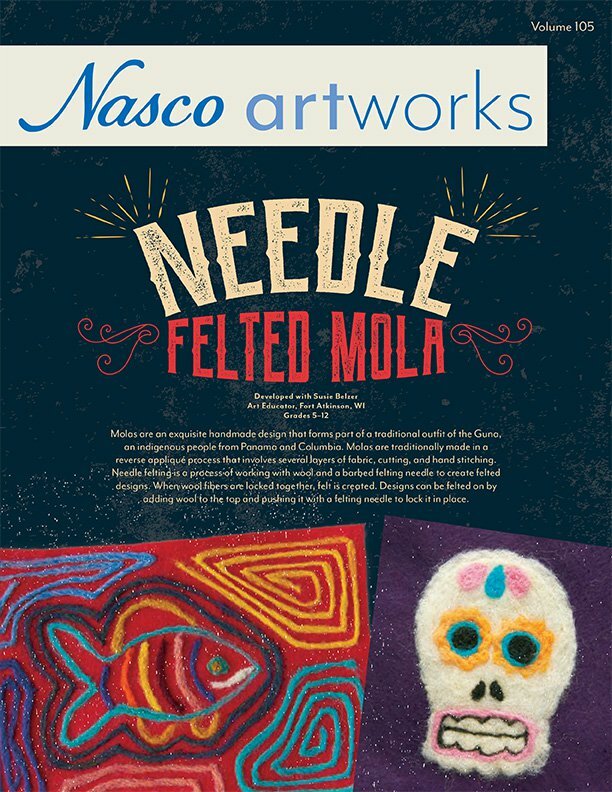 Students will be introduced to Molas and their significance to the Guna people, learn how to create a Mola-inspired design, and needle felt a Mola piece. Grades 5-12. Students will learn printmaking an papermaking, create self-portraits, learn how to translate work to a black print and create a paper cast, and explore and implement the processes of printmaking and papermaking. Grades 6-12. 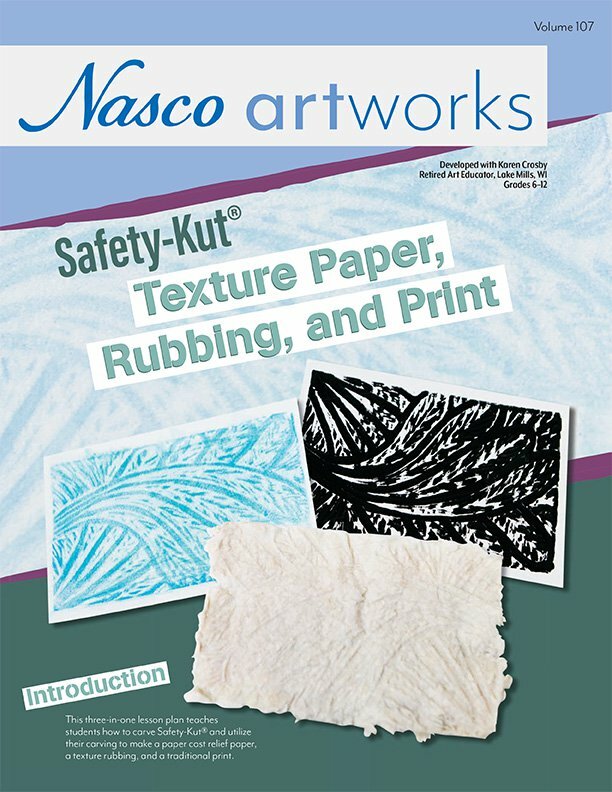 Students will learn about block printing, paper making, and rubbings; discuss the elements and principles of art with an emphasis on texture; design a unique texture pattern; and create all three forms of art utilizing their carved Safety-Kut® piece. Grades 6-12. 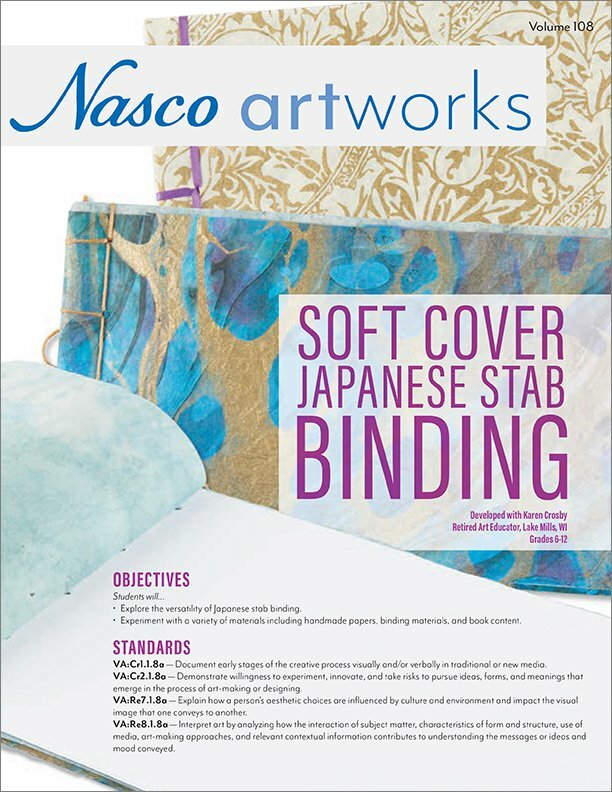 Students will explore the versatility of Japanese stab binding, and experiment with binding with a variety of materials including handmade papers, binding materials, and book content. Grades 6-12. 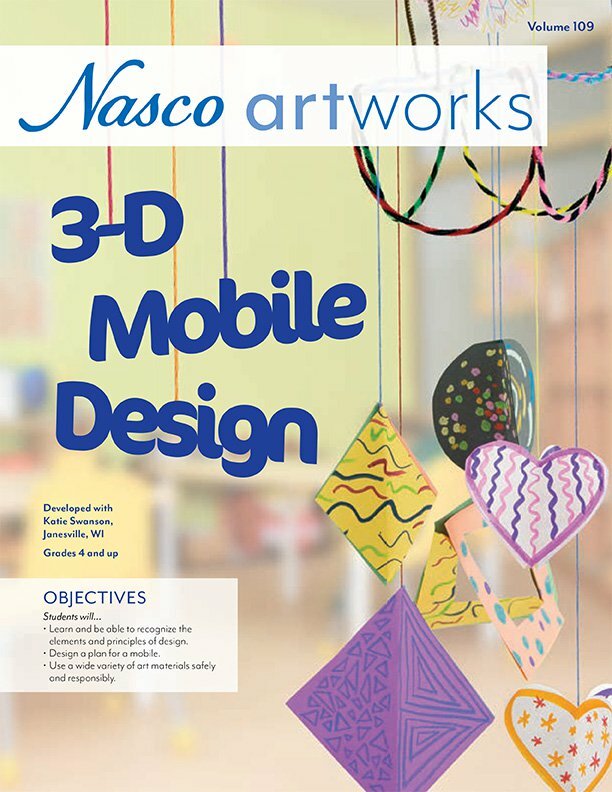 Students will learn and be able to recognize the elements and principles of design, use a wide variety of art materials safely and responsibly, and design and create a mobile. Grades 4 and up. 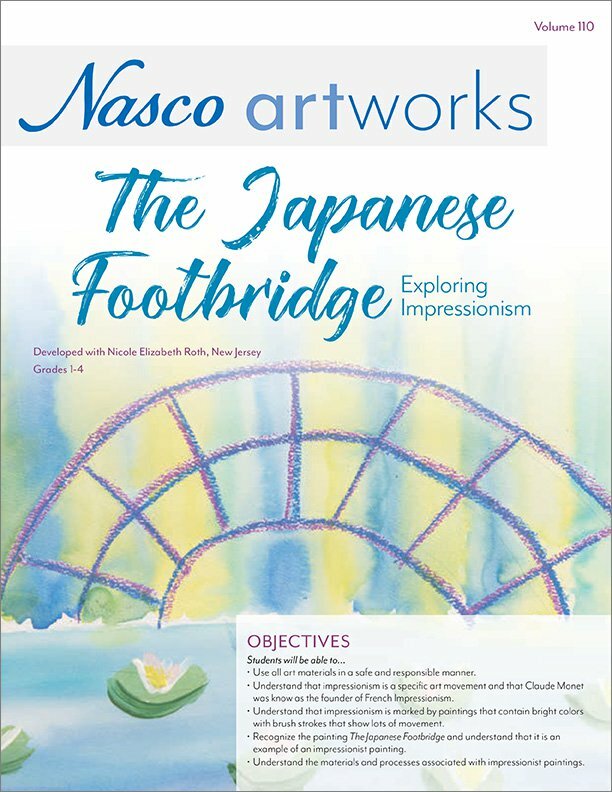 Students will learn that Claude Monet was known as the founder of French Impressionism, learn about Impressionism, study the painting The Japanese Footbridge, and draw and paint a footbridge. Grades 1-4. All lesson plans are free to download, come with a materials list and instructions, and most conform to National Core Art Standards. Check out these and many other interesting and fun lesson plans on our website today!